On July 21, 2017, The Centers for Disease Control and Prevention (CDC) issued an Announcement informing the public of an ongoing investigation by multiple federal and state health agencies into a multistate outbreak of Salmonella Kiambu infections. 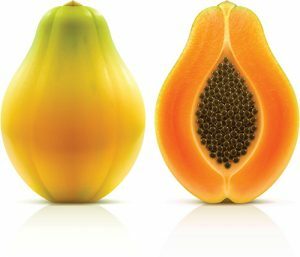 Evidence collected to date indicates that Maradol papayas are a likely source of the outbreak of Salmonella. As of July 21, 2017, forty-seven people among twelve states were infected with the outbreak strain of Salmonella Kiambu. Of the 47 people infected, twelve have been hospitalized. One Salmonella-related death has been reported from New York City. At this time, Caribeña brand papayas from Mexico have been identified as a brand linked to these illnesses. Illnesses occurred in 12 states: Iowa (1), Kentucky (1), Louisiana (1), Maryland (5), Massachusetts (1), Minnesota (1), New Jersey (12), New York	(13), Pennsylvania (4), Texas (1), Utah	(1), and Virginia (6). The Maryland Department of Health collected papayas from a grocery store associated with the illness cluster to test for Salmonella. One sample yielded the outbreak strain of Salmonella Kiambu and another sample yielded Salmonella Thompson. Both samples were from Maradol papayas.